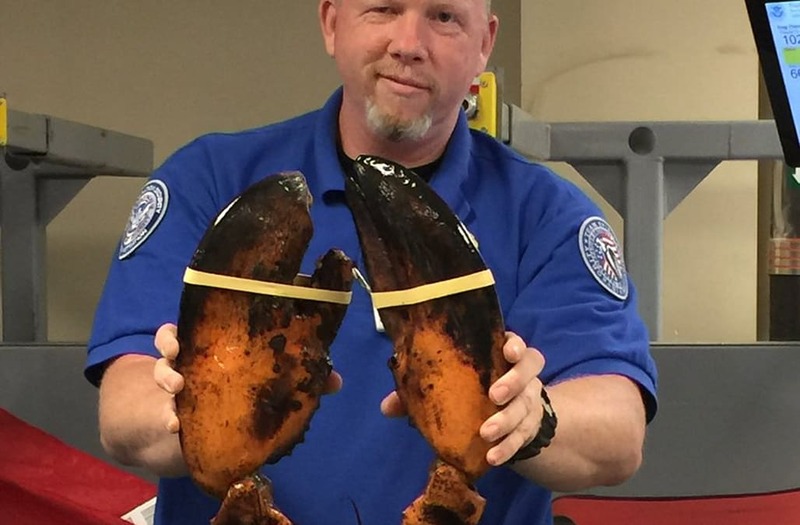 A 20-pound lobster was spotted by the Transportation Security Administration in someone's luggage at Boston's Logan International Airport. The TSA website says that live lobsters are allowed to pass through as long as it's in a "clear, plastic, spill proof container." The Associated Press reported that the lobster is the largest McCarthy has seen and "cooperated quite nicely with the screening process."